Barnes & Noble announced on Friday that Google Play is now available on the Nook HD and the Nook HD+. 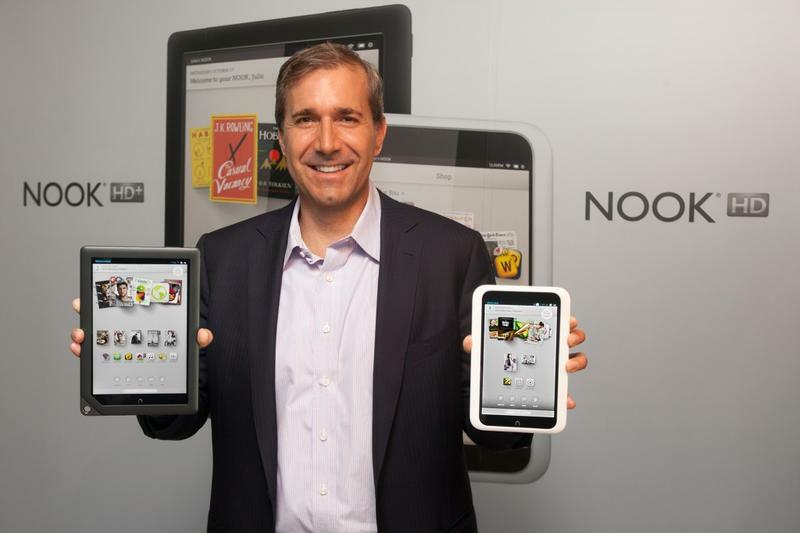 Before now, the tablets were in a walled garden of sorts and were only allowed to install applications from Nook's own store. Now, they're able to access more than 700,000 Android applications and tons of music and video content. That means you can, essentially, turn your Nook HD or Nook HD+ eReader into a full-fledged Android tablet. "By adding Google Play to NOOK HD and NOOK HD+, we are offering our customers even more great entertainment on our award-winning tablets," said William Lynch, chief executive officer of Barnes & Noble. "Now with access to more than 700,000 apps and the best reading experience available, NOOK HD and NOOK HD+ are must-see products for entertainment lovers looking for high-quality tablets at incredibly low prices." FOR IMMEDIATE RELEASE: New York, New York – May 3, 2013 – NOOK Media LLC, a subsidiary of Barnes & Noble, Inc. (NYSE: BKS), the leading retailer of content, digital media and educational products, today announced it is expanding its extensive catalog of reading and entertainment content with the addition of the popular Google Play digital content experience on its acclaimed NOOK HD and NOOK HD+ devices. With Google Play on NOOK HD and NOOK HD+, customers have access to more than 700,000 Android apps and games, millions of songs and more. Barnes & Noble's highly acclaimed lightweight high-definition 7- and 9-inch tablets will also include popular Google services like the Chrome browser, Gmail, YouTube, Google Search and Google Maps. Stunning HD Displays: Crisp text and beautiful graphics make books and magazines stunning to read. With NOOK HD's highest resolution of any 7-inch HD tablet and Full HD at 1080p on NOOK HD+, videos and games look life-like from any angle, with rich color, deep contrast and minimal glare. Light and Portable: Weighing in at only 11.1 ounces, NOOK HD was designed to fit naturally in an adult or child's hand for hours of enjoyment. And at just 18.2 ounces, NOOK HD+ is the lightest tablet of its kind – more than 20 percent lighter than iPad 3 – making it the perfect companion for movie watching, long reads, Sunday crosswords or favorite games. NOOK Profiles™: A personalized experience instantly transforms the device in hand to any family member's very own tablet so only they can see their own content. The ability to sync the last page read on any NOOK Book across NOOK devices and apps so customers don't lose their place. The NOOK Store offers more than 3 million titles in the US, with 2.5 million available in the UK, including more than 1 million free titles. For more information on NOOK HD and NOOK HD+, or any of NOOK's innovative products and devices, customers can visit www.nook.com or www.nook.co.uk.